Exciting news on the horror front! EW reports that Shudder is reviving Creepshow, but not as a film franchise. 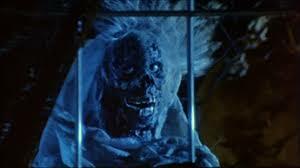 Next year, the streaming service will debut “Creepshow” as an anthology series, with makeup maestro Greg Nicotero helming the premiere and serving as executive producer. KNB EFX Group will handle the show’s creature and makeup effects. Scheduled to debut on Shudder in 2019, each episode will tell original stories and be directed by a different director. A tribute to the EC horror comics of pre-comics code 1950's, the original Creepshow was written by Stephen King and directed by a legendary horror director George A. Romero.